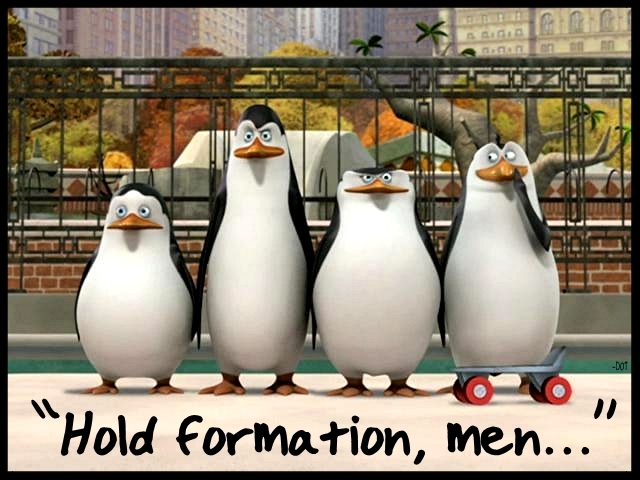 Hold Formations Men. . Wallpaper and background images in the 마다가스카의 펭귄 club. look at rico he is looking at kowlski KICO MOMENT!!!!!!!!! Idk, maybe he's looking if anyone noticed that he regurgitated a roller skate. What 당신 Talkin Bout, Skipp? !